The Western medical history often glosses over Islamic scientists. Ibn Al-Nafis’ discovery of how the heart pumps blood is no exception. William Harvey, esteemed medical lecturer and eventual personal physician to James I of England, made his most famous discovery by cutting open eels, toads, and other creatures and watching their still-beating hearts. The movements he looked for were quick — in some species they were no longer than “the twinkling of an eye, coming and going like a flash of lightning,” Harvey later wrote — and they were very easy to miss... or misinterpret. Little did Harvey know that the answer to the riddle of the heart’s bloodflow had already been described both in medical writings and in a medieval speculative fiction novel written by a physician who lived over 300 years earlier. Harvey, working in the early 1600s, was part of a new generation of physicians shaped by the work of an empirical anatomist named Andreas Vesalius. Although Western understanding of anatomy was improving rapidly, many organs still resisted easy interpretation. Among them, the heart. But in the end, Harvey was able to characterise the motions of the heart. He saw that contractions of the heart’s right ventricle forced blood into the pulmonary artery and from there into the lung. He also saw that blood from the lung flowed to the left atrium and then into the left ventricle which pushed blood out to the rest of the body through the aorta. Harvey also recognised that the heart pulsed through the contraction of fibres and was therefore probably a muscle. However, Harvey might have been able to abridge his research or clarify his ideas sooner if he had turned to earlier medical writings from half a world away. Four hundred years earlier, in a city 3,000 miles from London, a young doctor named Ibn Al-Nafis reached nearly identical conclusions and published his work, but it — along with the larger medical tradition of which he was a part — has largely gone unremembered. In most medical textbooks, Harvey receives the lion’s share of the credit for discovering blood’s route through the heart and lungs and back — otherwise known as pulmonary circulation. Although his work undoubtedly catapulted the idea of ‘figure-eight’ blood circulation through the heart into prominence, he wasn’t the first person to propose it. Ibn Al-Nafis not only described the same bloodflow pattern 400 years before Harvey, but he also may have worked it out by dissecting live animals. Ala-al-din abu Al-Hassan Ali ibn Abi-Hazm al-Qarshi al-Dimashqi (professionally known as Ibn Al-Nafis) was born in or near Damascus, Syria in AD 1213, late in the Islamic Golden Age. During the seventh and eighth centuries AD, Islam had expanded rapidly from its home territory on the Arabian peninsula, and despite wars, schisms, and migrations, Islamic rulers had succeeded in building several cities into centres for the arts and sciences. Baghdad, Cairo, Cordoba, and Damascus were home to grand libraries where scholars from all over the Islamic world gathered to study. Islamic urban centres also boasted large hospitals where any and all patients, rich or poor, Muslim or not, could seek care for maladies. Ibn Al-Nafis began his medical education at one such teaching hospital: Bimaristan al-Noori in Damascus. At Bimaristan al-Noori, Ibn Al-Nafis would have had both access to the medical library and opportunities to practice his craft with patients in the wards. Ibn Al-Nafis’ medical education would have drawn on centuries of prior tradition as well as practical experience working with patients. Although much of Islamic scholars’ early work consisted of translating and writing commentaries on Greek and Roman texts, experience and evidence also influenced medical practice. The writings of an immensely influential Greek physician named Galen were the foundation of medieval Islamic medicine, just as they were in medieval Europe, but a handful of Islamic physicians actively tested Galen’s ideas. In the late 800s, a Baghdad-based physician named Al-Razi investigated whether bloodletting — one of Galen’s favourite cure-all remedies — was effective against meningitis. He divided his patients into two groups; one in which the patients were bled and one in which they weren’t. When all of the patients who weren’t bled developed meningitis, Al-Razi concluded that bloodletting was beneficial for that particular ailment. Subsequent medical research in the modern era has overturned Al-Razi’s conclusion, but his approach mirrors today’s controlled trials. If Al-Razi had tried to publish his conclusions in ninth century Europe, he would have been vilified. For centuries, the Catholic Church promoted Galen’s ideas, saying that they were in accordance with Christian faith and further investigation would be pointless. To challenge Galen was to challenge the Church’s authority. It’s not coincidental that Galen’s stranglehold on medical wisdom didn’t loosen until the Protestant Revolution. Christian Europe and the Islamic world were also quite different when it came to the practice of medicine. In the medieval West, illness was widely viewed as a punishment from God and not something to interfere with. Medical care was often effectively hospice care. However, many devout Islamic physicians actively sought out and experimented with treatments. Many Muslims of the era believed that Allah must have provided remedies for every malady and that if cures for all illnesses were hidden within creation, seeking out those treatments was part of a physician’s calling. At the hospitals (named bimaristans) patients weren’t asked to pay for their care — they were funded by charitable contributions and sponsored by wealthy regional leaders and the caliphs. There were clinics devoted to women, clinics devoted to lepers, and pharmacies to dispense medicines to the out-patients. In many ways, Islamic hospitals more closely resembled western medicine’s modern hospitals than anything in Europe during the 13th century. At age 23, Ibn Al-Nafis emigrated to Cairo, Egypt, another Arabic-speaking Islamic city with a thriving scholastic community. The young physician began practising at Al-Nassiri Hospital and when he wasn’t working with patients, he wrote. Commentaries — texts where the author summarised, annotated, or critiqued a previous work, typically one by a prominent author — were one of the main modes of idea exchange in that era of Islamic scholarship. By the time he was 29, Ibn Al-Nafis took on an intellectual giant when he published a commentary on Ibn Sina’s The Canon of Medicine. Ibn Sina, who was known in the Latinised western world as Avicenna, was and is the most famous Muslim scientist of the time between Rome’s fall and the Italian Renaissance. Born in Persia in the late 10th century, Ibn Sina devoured literature as a child, memorised the entire Quran by the age of 10, began studying healing at age 13, and started treating patients at 16. Later, the emir, who ruled the territories that would become present-day Afghanistan and Iran fell deathly ill, and the wunderkind doctor was summoned to provide treatment. When the emir recovered, Ibn Sina was appointed physician to the emir. He was 18 at the time. Ibn Sina didn’t slow down. He was a prolific writer, renowned for his writings on medicine, philosophy, theology, astronomy, logic, and poetry. 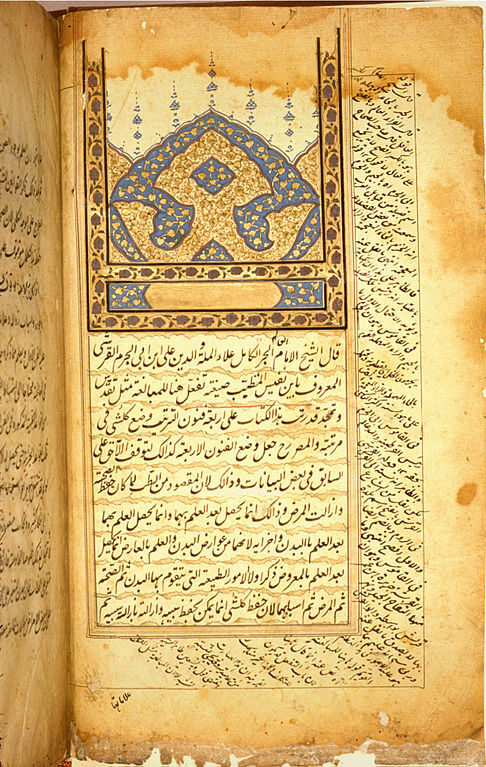 The Canon of Medicine was Ibn Sina’s most influential work. In The Canon, Ibn Sina synthesised the teachings of Galen and Aristotle into a comprehensive five-volume medical encyclopedia. In Ibn Al-Nafis’ time, The Canon was the medical textbook across the Islamic world. When translators based out of Toledo, Spain, translated it from Arabic into Latin in the 1100s, it spread like wildfire through Europe’s medical training institutions. It remained the definitive compendium of medical knowledge at European medical schools until well into the 1600s; Harvey’s writing was largely a response to The Canon. Nevertheless, The Canon more or less repeated Galen’s ideas about the heart. Galen had thought of blood as a relatively passive fluid, one that ebbed and flowed in the body. Though he could see the heart played a key role, he deemed it secondary to the liver. Galen theorised that the heart’s role was to help imbue blood with ‘pneuma’ or ‘spirit’ derived from the air inhaled by the lungs. Furthermore, he asserted that there must be pores in the barrier between the heart’s left and right chambers to allow these spirits to diffuse through the heart. No one had seen any such holes in the heart’s septum, so Galen surmised these pores must therefore be invisible. Galen’s notion of pores in the heart’s septum was based on abstract logic, not direct observation. Galen allegedly oversaw other people’s dissections of animals but rarely, if ever, performed them himself. Ibn Al-Nafis also outdid Harvey by accurately describing the direction of bloodflow through the heart. He even guessed that there must be very small channels in the lung where the blood could take in air (read: oxygen) before returning to the heart. Four centuries passed before an Italian anatomist, armed with a trusty microscope, would discover the lungs’ tiny capillary vessels where the blood becomes oxygenated in the late 1600s. Islamic law, about which Ibn Al-Nafis also wrote extensively, holds that bodies should be buried as soon as possible, leaving no time for dissection in the name of science. In many places, dissections and autopsies were outright forbidden, and the taboo against cutting open dead bodies still persists in many Muslim-majority countries. Eminent physician, respected philosopher, and proto-sci-fi author? Whatever his research methods, Al-Nafis enjoyed a long and prestigious career as a physician and writer. During his time in Cairo he rose through the hospital administration ranks and eventually became head of the new and prestigious Al-Mansouri Hospital, Chief Physician of Egypt, and personal physician to the sultan. He continued to write textbooks and treatises on religious law, ophthalmology, nutrition, grammar, rhetoric, physiology, and a summary of Ibn Sina’s Canon. His most ambitious project was an attempt to write an utterly comprehensive medical encyclopedia with a planned 300 volumes. He completed 80 volumes of the encyclopedia before his death in 1288. Ibn Al-Nafis also wrote one of the first-ever Arabic novels. Al-Risala al-Kamiliyya fil-Sira al-Nabawiyya (also known by its Latin name Theologus Autodidactus) was primarily an exploration of religious and philosophical ideas, but Ibn Al-Nafis also wove his knowledge of the sciences into the narrative. The inclusion of natural history episodes as well as the novel’s exploration of potential apocalyptic futures (heavily informed by Ibn Al-Nafis’ Sunni faith) have prompted some to label Theologus Autodidactus the first speculative fiction novel. That Ibn Al-Nafis included a section where the honourable protagonist dissects live animals in his heavily religious novel is remarkable, especially given the taboo around cutting open dead bodies. It’s hard to know for certain whether Ibn Al-Nafis’ work influenced the Western discovery of circulation. Although many of his works were translated into Latin and might have turned up in European medical libraries, his works certainly weren’t as widely read as those by Ibn Sina. Still, the idea of blood circulation surfaced from time to time. In the early 1500s, a Spanish theologian named Michael Servetus espoused ideas that closely mirrored Ibn Al-Nafis’ description of the circulatory system, but soon after that, he was captured and executed by the Spanish Inquisition. No one is sure where Servetus’ ideas came from, but it’s possible that he had read some of Ibn Al-Nafis’ work. It’s also possible that Harvey might have had access to Ibn Al-Nafis’ texts during his time at University of Padua. But regardless, Ibn Al-Nafis’ Commentary on the Canon fell into obscurity and was forgotten. Harvey, whose rigorous work was instrumental in spreading the idea of circulation and the importance of observation in medicine, was virtually unchallenged as the ‘discoverer’ of the circulatory system until 1924, when an Egyptian physician visiting Berlin stumbled across a copy of Ibn Al-Nafis’ Commentary in the Prussian State Library and realised that it contained an early description of the circulatory system. Such stories are not unusual when it comes to the work of medieval Islamic scholars. Islamic scholars are credited with translating and preserving Greek and Roman texts during Europe’s ‘Dark Ages’, yet many translations of their own original works have been lost, perhaps hidden away in old libraries, just waiting to be rediscovered.